Posted byRonald de Hommel	 August 1, 2011 August 2, 2011 Leave a comment on The wrong Dam! Today I spent 9 1/2 hours on the road with a guide and driver winding through small mountain roads to reach the Xiaowan Dam, the highest arch dam in the world. 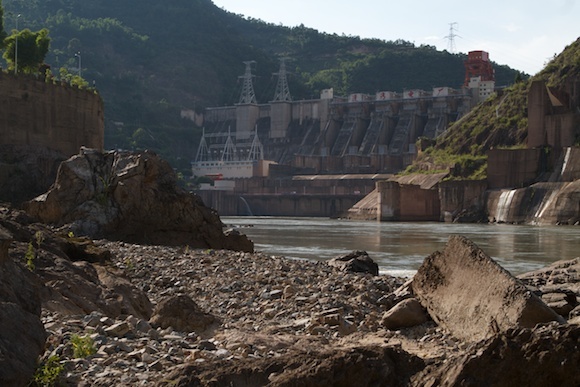 It is supposed to be the most impressive of the four dams that span the Mekong River so far (There are plans for dozens more in China, Laos and Cambodia). But when we finally arrived (I was all excited from anticipation) and I got my first glimpse of the dam I was a little disappointed. It looks cool, but not that impressive. It took me a while to realize the driver had brought me to the wrong dam, the Manwan dam. 3 hours southeast of my planned destination! It took us another 3 hours to reach a town with a hotel. Tomorrow we’re going to give it another try. It will be another day with more than 12 hours on the road.